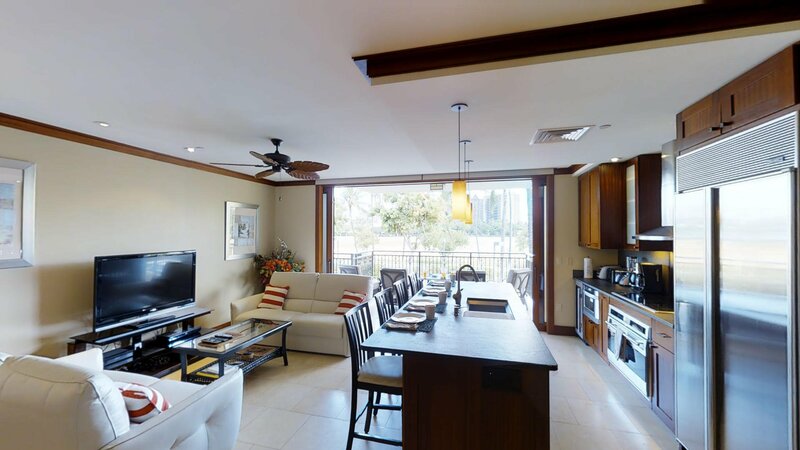 This elegant, spacious beach Villa is fully equipped with everything you need to experience the same comfort and convenience you would experience in your dream home. 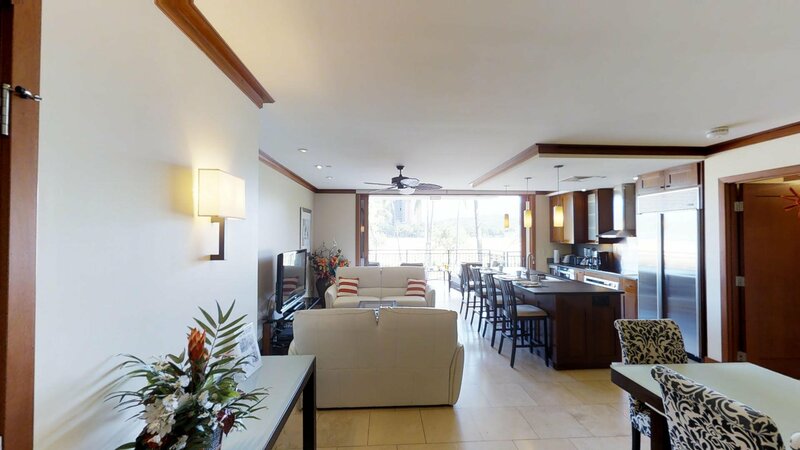 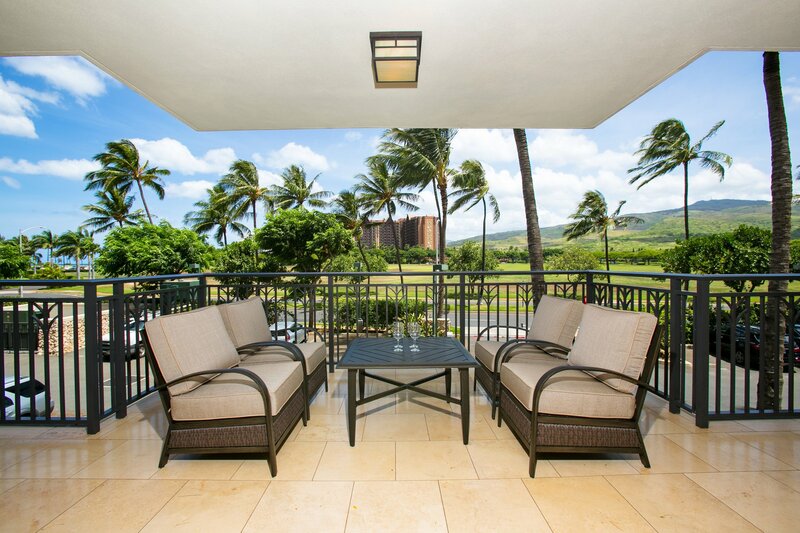 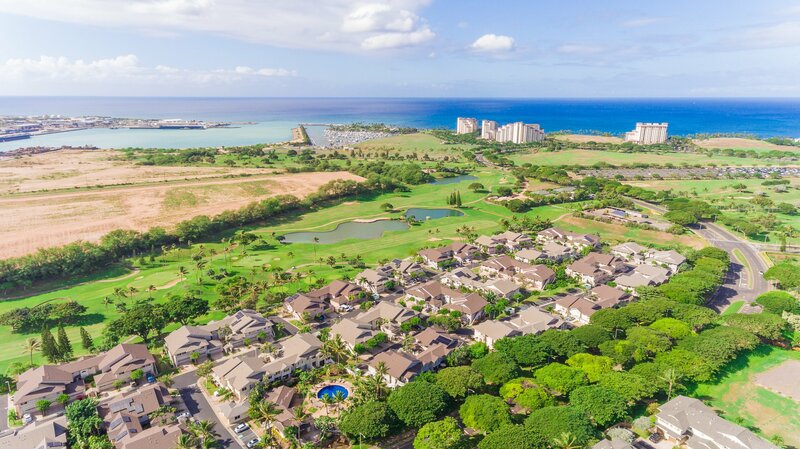 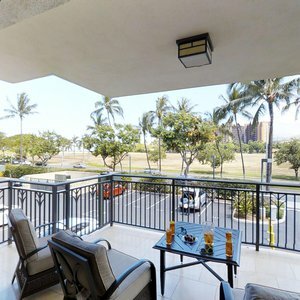 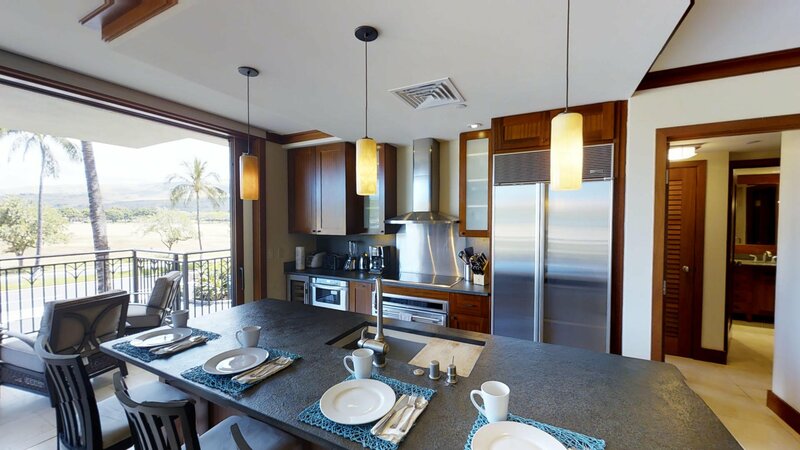 The main living area includes a full kitchen and dining area for up to 6 people, High speed internet, HD TV and a private balcony overlooking the breathtaking, tranquil view of the Ko Olina Resort. 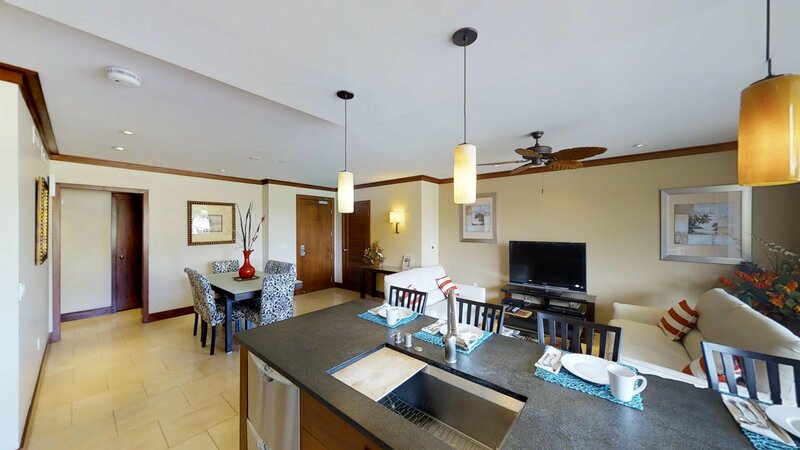 This is our One Bedroom option for those who do not require a two bedroom. 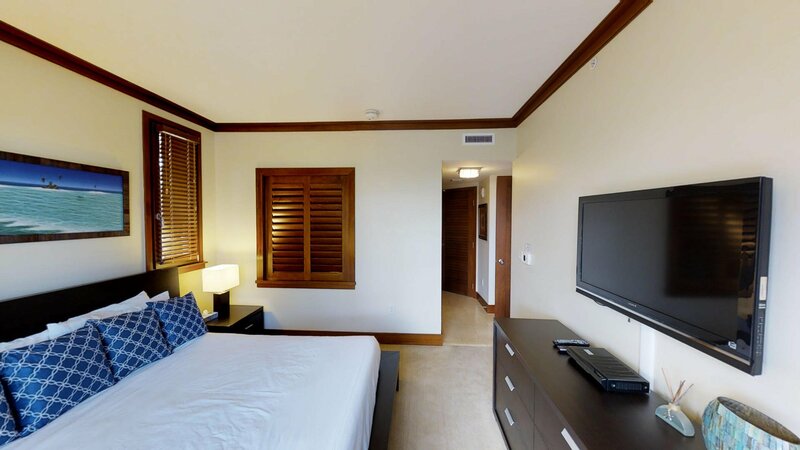 The bedroom has King Size bed with a Tempurpedic mattress for maximum relaxation when you are done for the day. 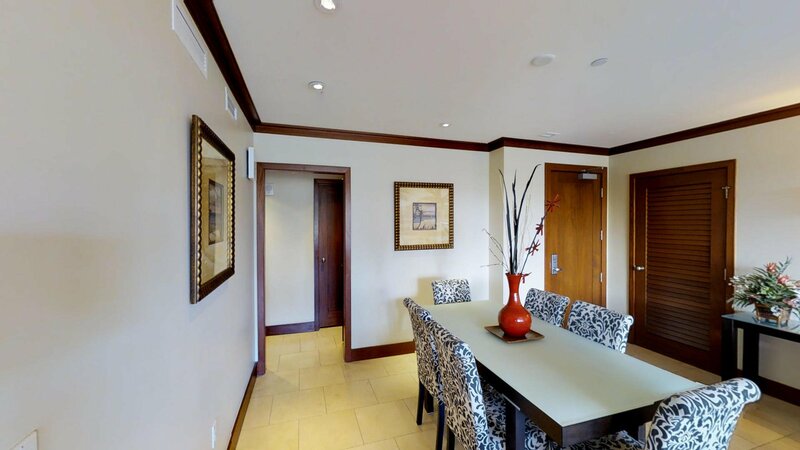 This is actually a two bedroom that we are able to lockoff and turn into a One Bedroom for smaller parties. 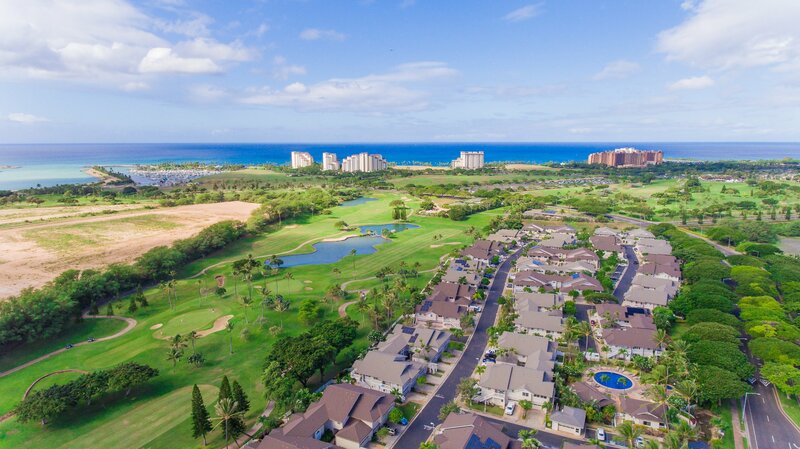 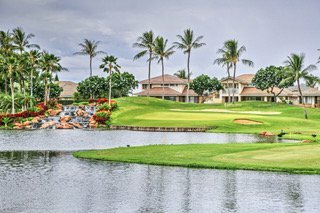 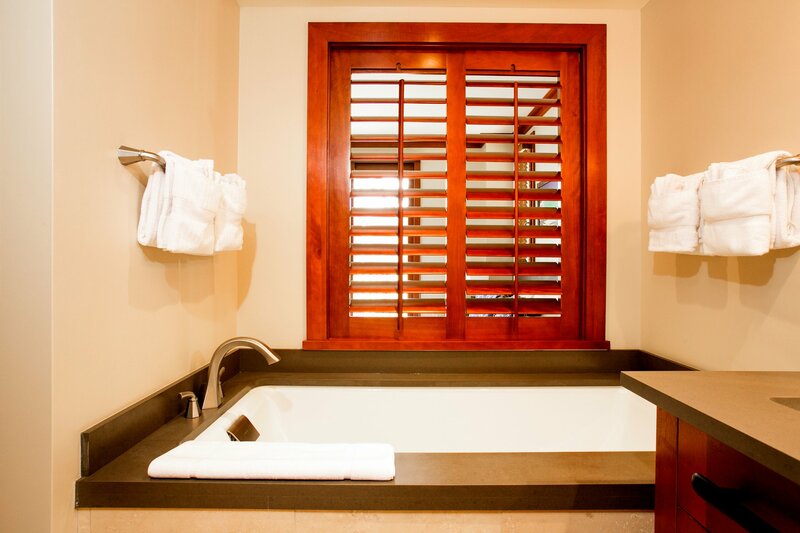 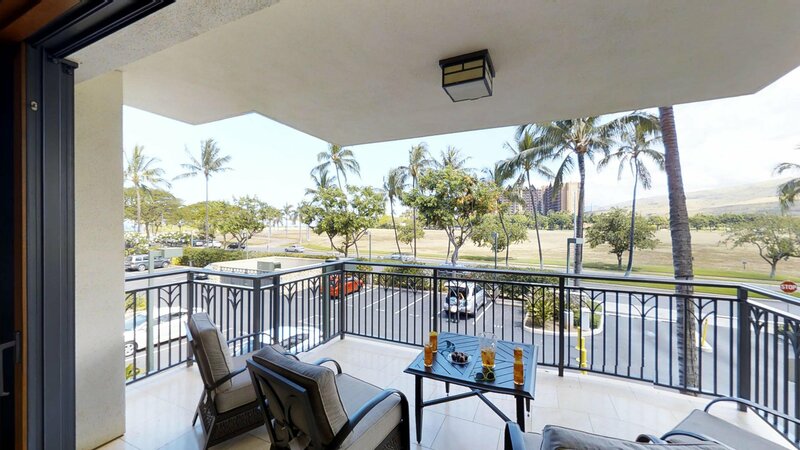 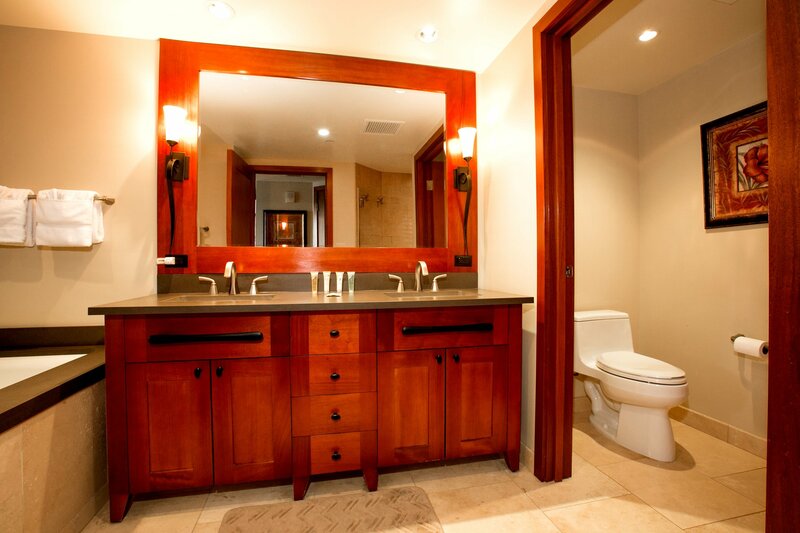 This villa is the perfect One Bedroom option in all of Ko Olina. 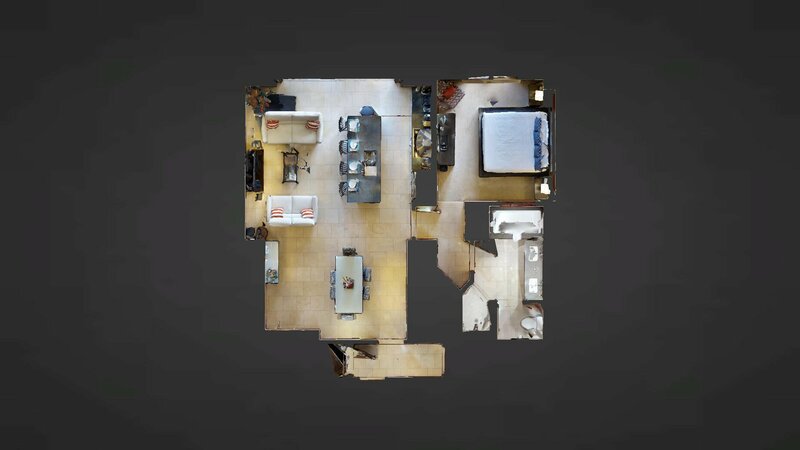 It doesn't matter whether you’re planning a vacation, a quick getaway or if you're here for work this combination of luxury, convenience and location at Ola Properties will truly be the experience of a lifetime! 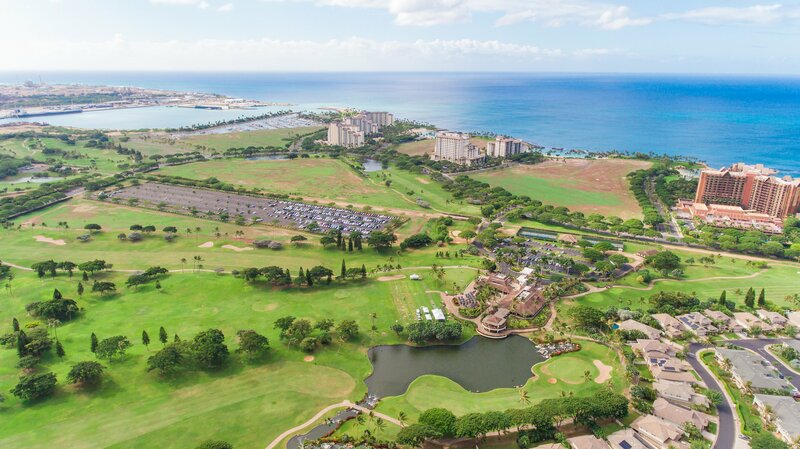 Attractions: Located in the serene, peaceful Ko Olina atmosphere, you are at the heart of all the various attractions that this year-round tourist destination has to offer; choose to spend your days on the Ko Olina Championship golf course or at the Marina; relax at one of the four breathtaking sandy lagoons, pamper yourself at the award winning Disney Spa and / or spoil the kids at the Aulani Disney Resort. 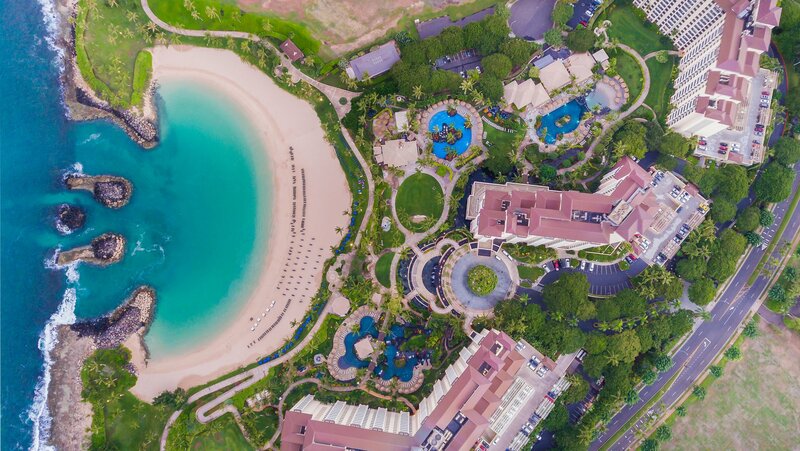 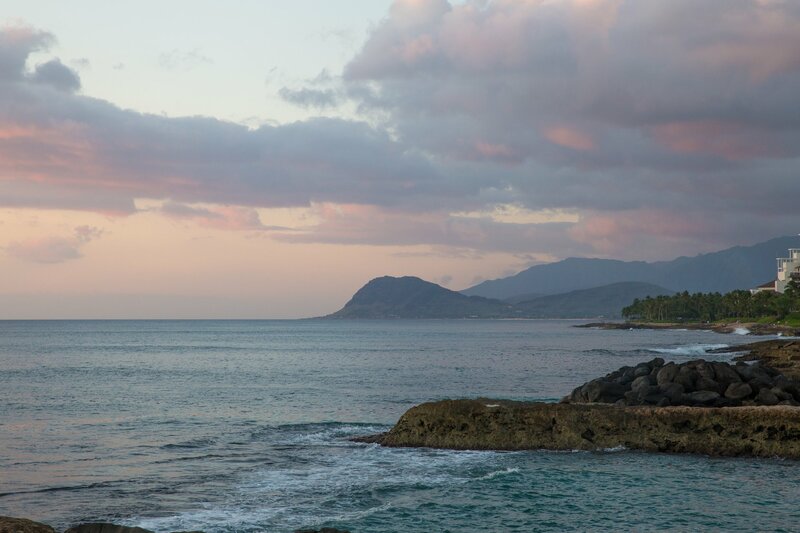 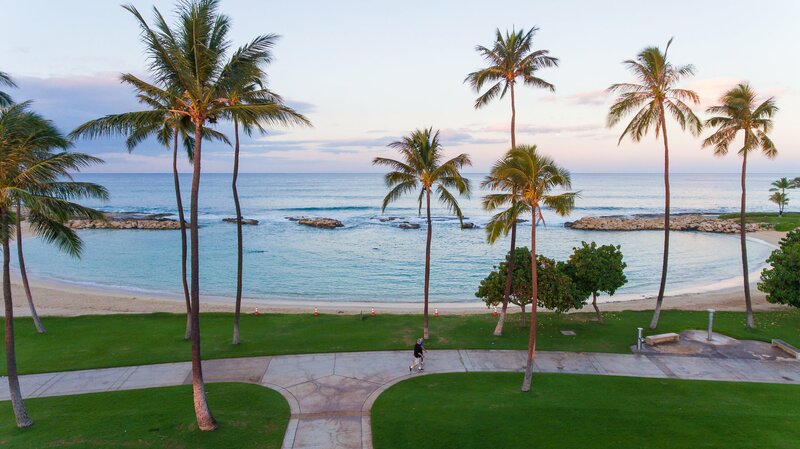 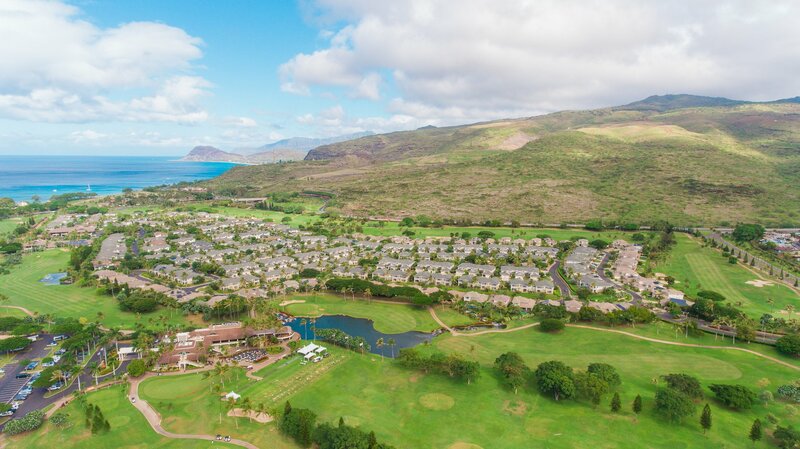 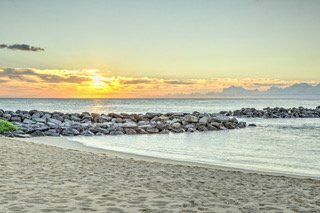 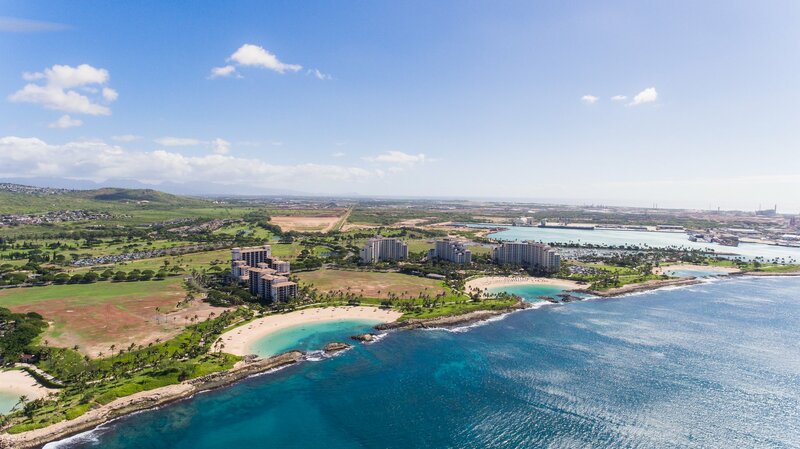 Enjoy breath-taking sunsets, experience an authentic Hawaiian luau at Paradise cove, a barbeque by the pool or a relaxing evening stroll through the beautiful island of Ko Olina. 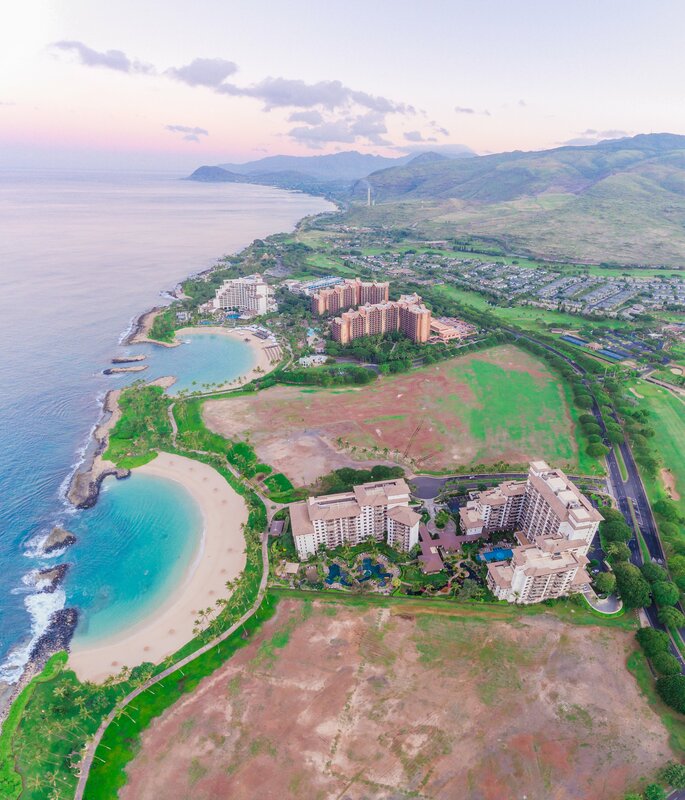 World-class restaurants and nightlife abound in every direction, and you can still get all the excitement of city life via the many transportation options to the city of Honolulu- just 30 minutes away from the Island! 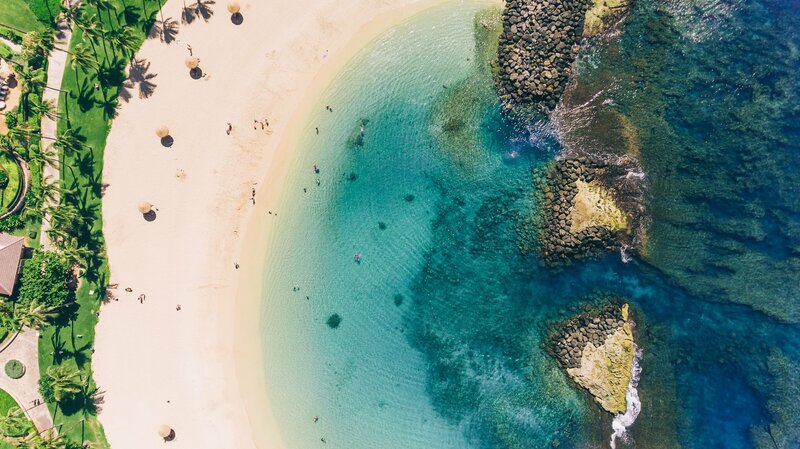 The Polynesian Cultural Center is definitely worth a visit and you’ll experience many traditional must-sees along the way – such as the historic surfing town of Haleiwa, and Hawaii’s infamous North Shore Beaches such as Sunset, Pipeline and Turtle Beach to name a few. 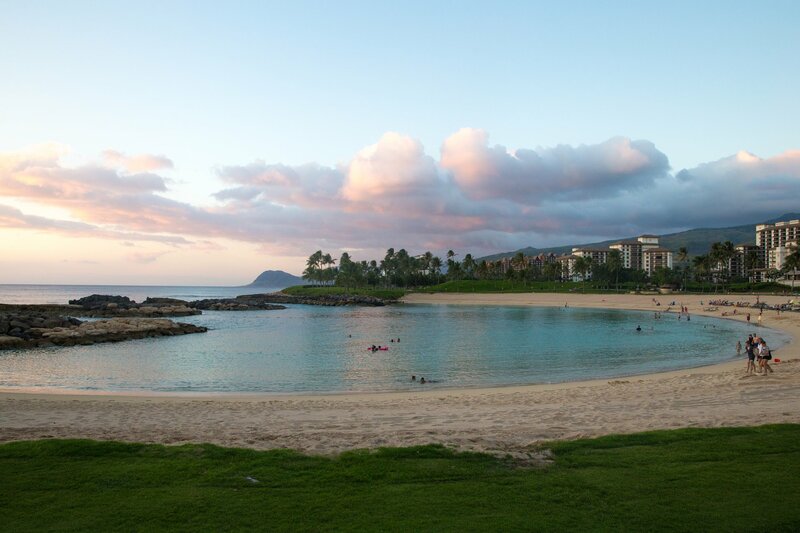 Breath-taking Hanuama Bay is a 45-minute drive with Sea Life Park a short 5 minutes further. 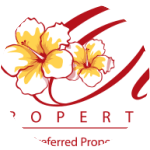 The resort is just a short drive away from K-Mart, Wal-Mart, Target, Safeway and Costco for souvenirs and all your shopping needs.